Inspirational Message – Are you married to your problems? Are you drowning in the drama in your life? Are you clinging onto the past? Allow yourself to move forward and be free, start fresh in your life. I am feeling all over the place. I am starting to feel cluttered in my mind and in my home and as a result, I am also feeling anxious. I am assuming that both feelings are interconnected but I honestly don’t know. The holiday season is usually a time of great excitement, so I am wondering if that has something to do with it. In all honesty, I would like to feel more relaxed and at ease with myself…but it doesn’t seem to be happening. Thank you for sharing where you are. I am sure there are many who are feeling the same way. The holiday season often finds people feeling anxious and sometimes out of control. When that happens to you, take several deep breathes in and relax. You are in control of your behavior and emotional state. Remember that! Do not allow your circumstances to dictate your life. How do you do that? 1. When you recognize that anxious state, immediately try to shift your energy. Think of something that is calming and relaxing. 2. Change your focus—a short prayer or mantra helps me center and ground myself and it definitely shifts my energy. 3. Daily morning meditation ( even for a few moments) will help set the mood for the day. 4. Clean up your space—whether at home or work. Physical clutter is the breeding ground for mental and spiritual clutter. 5. Good eating habits and regular exercise are vital for your overall state of being. Junk food weights you down in more ways than one and keeps you sluggish. A brisk walk once or twice a day will help you stay balanced. I find this process important for my personal overall healthy state. 6. Get a good night sleep – that is not silly but absolutely necessary for maintaining a healthy state of mind. All of the above takes discipline and effort on your part. There are certainly times in my life when I want to give into my lesser ego self, but I truly know and understand that if I want a healthy and balanced life and if I want to enjoy the abundance that life has to offer, I—no one else—it is “I” who must decide what choices I honestly need to make to reach my desired outcome. This can be a wonderful and playful time of year. I warmly invite you to practice these steps because I know you will begin to enjoy yourself more. Celebrate your blessings and honor you for who you are. P.S. 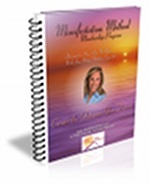 Discover the abundance awaiting you in 2010 when you commit yourself to learn how to create real, positive transformation in your life in my 2010 Mastermind Platinum Program — Hurry, space is limited! Visit http://www.thegiftwithjoanmarie.com/preview today!